AvivaPlus home insurance has three cover levels - Basic, Regular and Premium - and optional extras such as home emergency cover that customers can pay more for. AvivaPlus expects at least 10% of its home insurance customers to pay £8.25 a month for Regular cover based on customers who bought Regular building and contents insurance from September 2018 to November 2018. The cover you choose, your individual circumstances and your payment method will affect your price. Get a quote from AvivaPlus. Existing Aviva customers can get a 20% discount. As can customers buying both AvivaPlus home and car insurance. AvivaPlus customers can pay monthly with no interest and will receive the same or a better price at renewal. AvivaPlus says content claims up to £5,000 can be paid in 2 hours. However, you have to make the claim Monday to Friday between 8am and 4pm, and the payment is made via an Amazon.co.uk gift card. You can get a quote for home insurance at the AvivaPlus website. We've researched and listed the best home insurance policies in the UK. 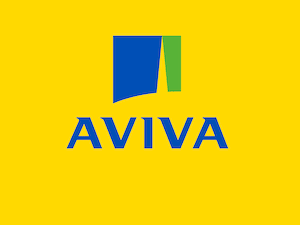 Aviva is the leading insurance and savings business in the UK and Ireland with 16 million customers in the UK. Into introduced its AvivaPlus product in 2019. The cover levels are similar to its previous products but it aims to have improved some elements of the customer experience. AvivaPlus has three home insurance policies, with optional extras available for customers who require greater coverage. Each policy includes buildings cover and contents cover along with cover for jewellery. Optional extras include accidental damage cover, protected no claims discount, cover away from the home and home emergency. You can get a home insurance quote at the AvivaPlus website. How much does home insurance from AvivaPlus cost? AvivaPlus says it expects at least 10% of its home insurance customers to pay £8.25 a month for Regular cover based on customers who bought Regular building and contents insurance from September 2018 to November 2018. All AvivaPlus home insurance policies are rated 4 stars out of 5 by Fairer Finance experts. In Fairer Finance's Autumn 2018 customer experience rating Aviva ranked 30th out of 48 companies. The customer experience rating includes scores for customer happiness, trust, complaints performance and transparency. To compare AvivaPlus with other home insurance products, check out our article on the best home insurance companies. Learn about the cover levels and starting price offered by AvivaPlus car insurance.